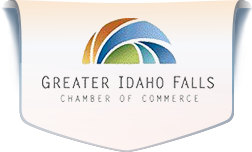 For those interested in following the Idaho Legislative Session this year, the Chamber Advocacy Committee will be hosting its first Weekly Legislative video conference call on Thursday, January 18, 2018, at 7 a.m. These conference calls are held weekly with local legislators in Boise during the Idaho Legislative Session. The meetings will be held at College of Eastern Idaho Building 5 (Alexander Creek Building) Room 523.